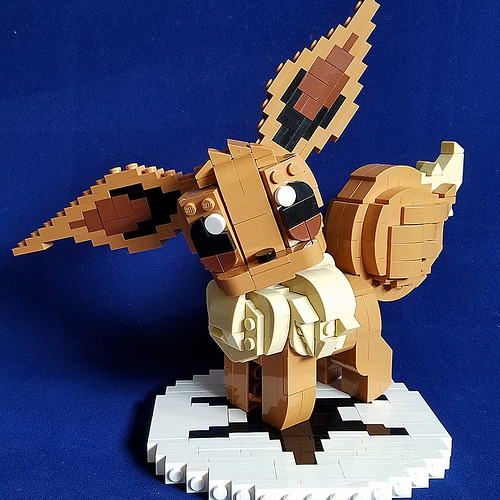 Continuing to show love for Pokémon, Mike Nieves built an adorable LEGO Eevee. Just about everything about his Eevee – the eyes, the color choices, the head tilt, and the fluffy tail – is just so darn cute. The sculpting with rounded slope bricks around Eevee’s neck is particularly lovely. If you enjoyed Mike’s Eevee, you may also like his LEGO Arcanine and Rapidash we’ve featured previously.